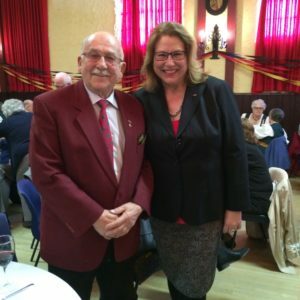 80th Anniversary of Vancouver Alpen Club! 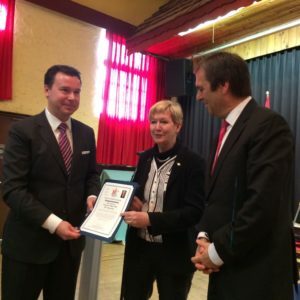 Honourable Suzanne Anton is presenting a Happy Birthday Certificate from the Province of British Columbia to Justin Hoffman, VAC President and the Honourable General Consul Josef Beck. 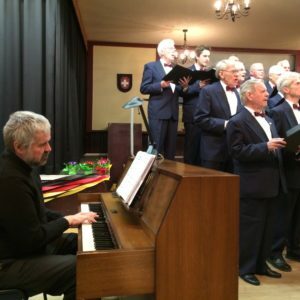 The program started a typical “Saengergruss” and then with MC Dieter Momeyer, the Lyra Men’s Choir welcoming the crowd of around 400 guests and then introducing the VIP speakers one by one. 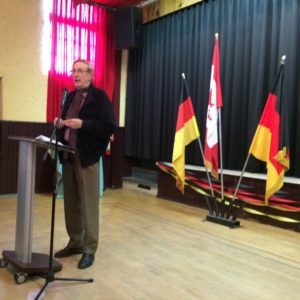 The 80th “Jubilaeumsfeier” was a two-hour celebration with guests from the German Canadian Business Association, the German Canadian Heritage Plaza, the German Canadian Benevolent Society, from the St. Mark’s Evangelical Church, the former Berlin Club, the former German Canadian Congress, the Schuhplattler, and other clubs that are listed below. Over the last 80 years there have been many changes in the immigration of young people from Germany and the number of club members peaked at 1,000. The challenge, as ever, is to be relevant for the new wave of Work & Travel Visa young people, Work & Study Visa young people, young entrepreneurs and professionals. Perhaps the advent of (the historic Canada and European Union (EU) Comprehensive Economic and Trade Agreement ) CETA will bring even more changes to immigration – who knows? 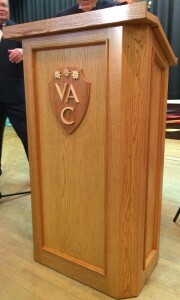 First to speak was VAC President Justin Hoffman. 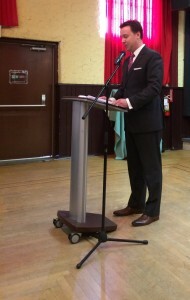 Second to speak was the Honourable General Consul Josef Beck of the Federal Republic of Germany. 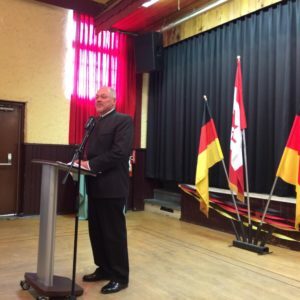 Fourth was Pastor Hardo Ermisch from the St. Mark’s Evangelical Lutheran Church. Fifth was the president of the Austria Club. 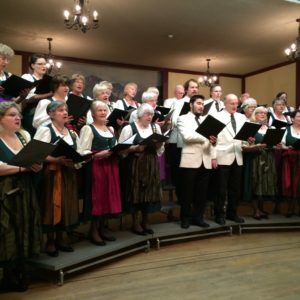 Sixth was Rolf Bruehlhart, on behalf of the Swiss Society and the Swiss Choir and the Swiss Community. Wenn der weisse Flieder wieder blüht. 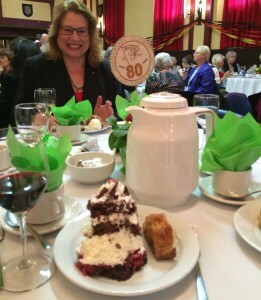 We were then served coffee and cake. 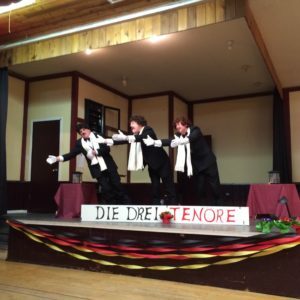 After this, “Die Drei Tenore”, a big hit at the last Saengerfest performed not just one, but two songs, and the closing was a sing-a-long with Al Pichler. Patrick Buehrmann, club sponsor Mr. Honig & two others. 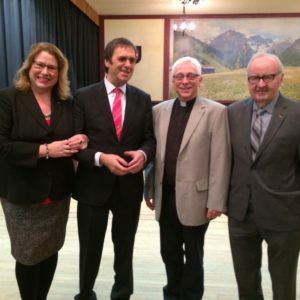 Right to Left: Beatrice Schreiber, President of the German Canadian Business Association, Honourable Josef Beck, Consul General of Germany, Pastor Hardo Ermisch and my relative Heinz Stuehlmuller. 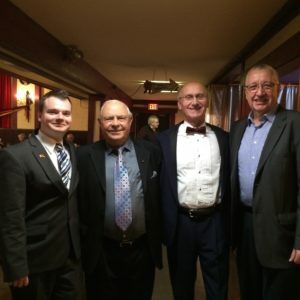 Morge der Vancouver Alpen Klub auch für die nächsten 60 Jahre der Mittelpunkt deutscher Kultur und Unterhaltung sein! There is also the Organization called “Alpen Holdings”, which was formed to buy 8 properties and to actually build the club. The Original President was August W. Henschell. After 3 years of dancing under the umbrella of the Canadian Folk Society, they decided to officially register as the Vancouver Alpen Club. The “Deutsches Haus” was opened at the corner of Victoria and 33rd on October 19th, 1950. 1947 is when a “Frauengruppe” was formed. 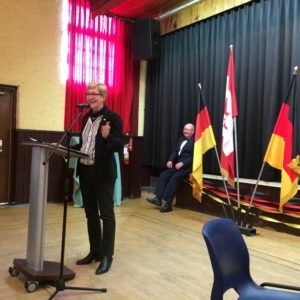 1958 the Alpenclub participated in the 100 Year Anniversary of British Columbia by collecting the contributions of German Pioneers in the Province of BC and creating a book. 1959 the Vancouver Alpen Club celebrated the 200th Birthday of the poet Friedrich Schiller. 1965 Men’s Choir “Lyra was officially formed. Fall 1973, the Deutsches Haus Restaurant (“Kleine Kneipe”) was officially opened. 1975 was the year a “Skatverein” was created. 1976 was the year the Concordia Choir was created by Hans and Lotti Hirsekorn. 1978 is the year they started crowning the “Prince and Princess” of the Carneval. 1985 they created a “Schuetzverein” or a shooting club. June 1st, 2002 is when the Concordia Choir sang at the European Festival for the first time. 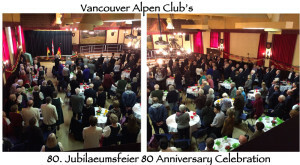 February 6th, 2016 is when the Vancouver Alpen Club celebrated their 80th Anniversary in the “Festhallte”. 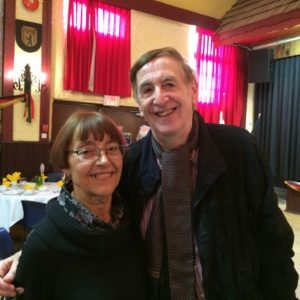 German communities composed of mixed backgrounds formed the predominant pattern of German settlement, membership in churches, and voluntary ethnic associations, as well as in celebrating symbolic events such as German Day, Oktoberfest and Karneval. Gift from the Lyra Men’s Choir – handmade and it even folds up!